Anyone who took piano lessons long enough, at least from a classically oriented teacher no doubt faced one or more piano technique exercise books by Carl Czerny (1791-1857). I did. And at the time I did not know that he was an extremely accomplished and prolific composer in his day, more well-know for that than the pedagogy I guess then. Or he should have been if he wasn't! I later chanced upon some of his piano music and was pleased with it. And so I have had a look out ever since for more of his music. Today I happily bring to you a fine recent example in a new release of a couple sets of his Piano Trios (Naxos 8.573848). They are played quite nicely by Sun-Young Shin (violin), Benjamin Hayek (cello) and Samuel Gingher (piano). This is music that sparkles with some brilliance, a step beyond Mozart for emotive expanse and virtuoso bubble, parallel to Beethoven in terms of furtherance but rather nicely original with its very own bravura melodics and rhythmic drive. Clementi. He got off to a great start and then became a star pupil of Beethoven, who gave him a thorough grounding via the piano music of CPE Bach. And so he was off to a real career though his family was poor and it was up to him to make good. He of course did. 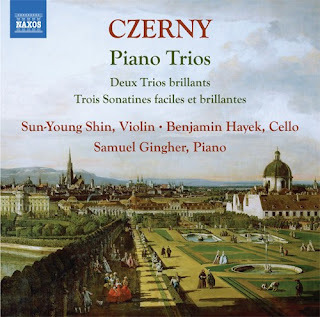 The combination of a near-ideal reading of these works and the sweetly lyrical content make this an outstanding introduction to Czerny if you are not familiar, or if you are this remains a very nice one to add to your appreciation. These are World Premiere recordings too, so it is new in all senses for us. We get the Op. 211 "Deux Trios brilliants" and the Op. 104 "Trois Sonatines faciles et brillantes". In all there are two works here in three movements, and three works in two movements. At the Naxos price you really cannot go wrong if you want something finely wrought, and beautifully expressed by this fine trio. Highly recommended. If I did not think Classical Music, Modern or Ancient, is fun I would not write about it. Why inflict pain on others? There is joy when you connect with a work and/or a performance. And it is not like some other joy once you get the spirit of listening well. It is a tabula rasa. What is a joy may not be known until you jump into it. For example the joy of exploring the solo piano repertoire did not occur to me until I was music hunting at a record store around 1969, in the Classical Section and came upon one of the Vox Boxes that caught my eye. The boxes contained three LPs for $3.99, which was a remarkable bargain then. The one I looked at was an edition of Chabrier's "Piano Works." And I checked it out. Nicely played, good music! So that was the beginning of the solo piano excursion of listening for me, a step beyond sitting down and learning a piece by hand, which in retrospect I might have done more! That process continues now, some nearly 50 years later. Today I contemplate an anthology of piano music sorted and presented more-or-less by theme. It is pianist Harriet Stubbs' new Heaven & Hell: The Doors of Perception (Suite 2B Records 018). The album has a concept behind it, and all the well for that since it may draw in folks who might not get exposed to this music otherwise. Suffice for now to say that the concept relates to poet William Blake's vision of heaven and hell and a journey from innocence (youth) to experience (maturity). The whole thing kicks off with John Adams and his somewhat cosmic Pomo piano venture "Phrygian Gates" and its accompanying reading of a Blake-derived passage as tellingly and intelligently recited by one of our primary embodiments of the passage from innocence to experience, the ever-worthwhile Marianne Faithful (who is now many experiential miles away from her innocent song "As Tears Go By" of yesteryear). It sets the mood for what follows. I myself read the liners but think it is best for you to do that yourself when you get the album, assuming you do. Some of these works are about innocence, some experience, but of course none of that would matter if the selections did not make an impression both in themselves and together, which they do. Nor would it matter if the performances were in any way below par, which also is not a problem. Ms. Stubbs has a poetic musical sense and her performances go for expression above all, and perhaps less for absolute precision. Perhaps only those who know some of these works intimately would notice. And in the end it is not out of a sloppiness as it is an expressive passion. So too if one sits down to a Sloppy Joe repast one should abandon the idea of counting the lumps of ground beef or then gauge the ratio of meat to sauce. But in this case one is sitting down to a plate of "Passion Joe" so to speak! Here it is an expressive whole that comes across to us with heartfelt sincerity and it is served up in ways that transcend some absolute measure of utter faithfulness, right? So too, the idea of "sounding right" is ultimately one that leaves a poetic impression and here Ms. Stubbs resounds with a rather profound poetic concentration. The choice and sequencing of the musical selections themselves go a long ways towards defining this program as special. Each has a vibrancy of spirit and the sequence (perhaps influenced by producer Russ Titelman's uncanny sense?) has after a few listens (so to me) given out with a fine kind of inevitable suchness, and so a satisfaction. From the Adams at the top and the Ligeti at the conclusion we get contemporaneity and here-nowness. In between it is a happy journey through sublimity, with Mozart's haunting "Rondo in A Major," five Shostakovitch "Preludes," Stravinsky's "Tango," Busoni's piano arrangement of the Bach Chaconne from the solo Partita No. 2 for Violin, Prokofiev's biting "Suggestion Diabolique," two movements from Scriabin's Second Sonata, a beautiful Brahms Intermezzo and on to the Ligeti to close. These are examples rather glorious, all. And I am glad to hear how Ms. Stubbs strings them together like a popcorn necklace for the Holiday Tree. I will admit that I do not especially care how closely the selections hew to the thematic Blakean concept. It is enough to state the firm poetic thought at the beginning and then to set the music loose. Harriet Stubbs is most certainly the right kind of poetic pianomeister for this ambitious program. She turns the Ligeti 5th Prelude into the most heavenly of heavens. It is all angel's food cake there, and the juxtaposition with a brace of Devil Dogs (devil's food cake snacks mainly available locally in NY Metro) only serves to heighten the experience of experience and the naivete possibilities we can still sense though we are long beyond it experientially I suppose. So after a bunch of listens over here in the former servant's quarters of an ancient Cape May farmhouse I can say easily and with a surety that this music is something very worth your time and concentration. It is a happy thing. Harriet Stubbs brings out the poetry imprisoned in the piano as few around today can do. Recommended. What we never hear we can never truly know. That thought keeps me ever at the listening station here. And happily it turns out there still is a great deal worth hearing coming out every day. One such a thing is Miguel Kertsman's Three Concertos (Naxos 8.573987), brought very nicely to us courtesy of the London Philharmonic Orchestra under the direction of the distinguished Dennis Russell Davies. Kertsman as of this writing is in his early fifties. The music in this program was written between 2005 and 2015. It sounds Modern surely, tonal and extremely well wrought. The four works on the program are each very much something with a special identity, and so the hearing is an opening onto a number of fascinating worlds. The concertos are very alive and vibrant in sound. "Concerto Brasileiro for Flute, Strings and Percussion" (2005) features an agile and mesmerizing flute part and the sort of Brazilian spirit that moves us happily forward. The contrasting "Concerto for Violin, Horn, Shofar and Orchestra" (2013) has a very mysterious and atmospheric demeanor. It is masterful writing and orchestration with a kind of sonic presence that gradually lifts itself into strongly memorable places the more you listen. 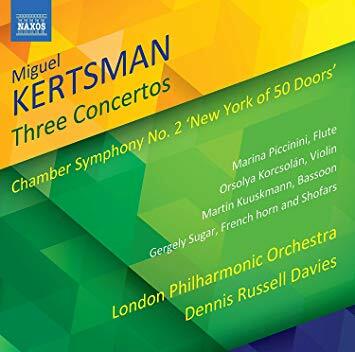 If there is one work you might first turn to to get an idea of Kertsman's sonic depth and aurally inventive imagination, this would be my choice. It is rather unforgettable after several run-throughs. One could listen to this program solely with the idea of identifying and tracing the various musical influences Kertsman adeptly utilizes for his own musical vision. If we followed that string of hearing we would encounter rock, folk, pop, local and other diverse strands that all get assimilated and transformed by the composer's masterful ways. So the "Journey for Bassoon and Orchestra" of 2013 has some very engaging and moving music. I especially like the jazz influences but then too a very new kind of rhapsodic, songy Modernism and a wash of majestic lyricism. The latest (2015) work and a fitting finale to the program comes to us as the "Chamber Symphony No. 2 'New York of 50 Doors.'" This one has a pretty stunning jazz-rock heft to it that neither sounds condescending nor does it seem gratuitous as it can sometimes be in the hands of lesser and less committed composers. There we have it. This is a beautifully performed program of absolutely worthy sounds. Kertsman manages to be completely Modern and yet so too lyrical and melodically enchanting. Four works, four worlds all different and a very satisfying listen to anyone who welcomes the NEW in New Music. I recommend this one strongly to you. Perhaps a rather simple proposition? That is, that New Music does not always have to be foreboding, so serious as to be hard work to hear? I am dedicated to the proposition that all New Music is and should be fun to hear. Every work an adventure. Every possibility potentially there to hear at any moment. Every sky a rainbow? Well not every sky. But I do believe that New Music is as fun as anything! Maybe as much fun as a barrel full of monkeys? Composer Gene Pritsker knows what I mean. Because he never writes a work that intends to be deliberately arcane or difficult. And mind you, I like arcane and difficult things! I like the opposite too. With today's music program we get something that is more or less pure fun. Here the "eclectic" in the album title is no accident. For this is an all-Pritsker program of chamber music that while quite serious about itself is nevertheless fearless in what it allows itself to view or to appropriate for the end of the works at hand. So the listen is a rewarding one on this album. You put it on and get some really worthwhile recompositional reworkings of Bach's theme from the first movement of the "Well Tempered Clavier," for example, and I think of how Satie did something like this on a Clementi Sonatina. If that is eclectic and it no doubt is, it is in the best way. But the eclectic has a horizontal axis too. It is not just one like paired again its like. It is all influences in cross-spectrum. So then too you listen and hear Gene taking on...Death Metal in some really fetching antics for vocal, piano and drum set. Then how about some piano music that unabashedly works within a ragtime Jopliniana mode to contribute a new spin on the rag possibilities? We get eleven short works or short multi-movement works and they are all good to hear. There is no doubt that "Modernism" is what we have as opposed to post-post variety packs (have to be of a certain age for this aside? As in Post Toasties?) And the eclec-ticity is not so much a shocking thing as a familiar and reassuring sort of familiarity-in-difference. I do recommend you hear this by all means. Gene Pritsker is a force! Bravo. Years of life can pass for me without thinking about or listening to Wilhelm Stenhammar (1871-1927). And in fact I came to his music fairly late, during my golden age of combing through the stacks of Academy Records and Books in the city (New York) back when I worked nearby at Scientific American Books/W.H. Freeman. But when something new comes along I am ever interested. The new one at hand today renews my appreciation with some very strong music, strongly performed. Happily we get that on a new release with Neeme Jarvi conducting the Gothenburg Symphony. It is a grouping of Stenhammar works that add to what we may have experienced and the performances convince us that we are in the presence of superior inventive powers and a vivid orchestrational imagination. All this on a program that includes the symphonic cantata Sangen (BIS 2359). The liners to the album remind us that his breakthrough in the Stockholm music world came with his first Piano Concerto in 1894. He headed up the very same Gothenberg Symphony Orchestra that we hear on this recording from 1907 to 1922. Under his guidance the orchestra blossomed into a world-class outfit. And when you hear the works on this program, all written during the tenure of his directorship between 1910 and 1922, you feel you are in the hands of a composer that understood from extensive experience the resources of the modern orchestra and put a wide spectrum of sonic options to excellent use. This is almost an Impressionistic sort of Late Romanticism we hear on this CD, with the lyricism of a Grieg and the power of a Sibelius to summon the sounds into a local set of possibilities. Yet he goes his own way for all that. The Hilding Rosenberg arranged "Suite from Romeo Och Julia" of 1922 opens the set. It is tender, lyrical and rather effervescent in its five movement presentation. The themes grow inside you as you hear the music repeatedly. And the acoustical outlay of the SACD sound we already detect happily, for this is a recording that sounds especially well. "Reverenza" (1911-13) follows, which was the original second movement to his "Serenade." It holds its own and features some evocatively stunning string parts and sectional brilliances handled well by all concerned. "Two Sentimental Romances" of 1910 fall close on the heels of the short "Reverenza" movement and bring out the solo violin rhapsodistic niceties of Sara Troback. The soaring melodic themes are memorable and distinctive. Stenhammar surely was no hack. Far from it. "Sangen (The Song)," a symphonic cantata of 1921 is the main event in the program, running some 30 minutes with soloists, chorus and full orchestra. This work has more of the rousing ambition of a Nordic Late Romantic huzzah in contrast to its more Impressionist program items. There is a meticulously crafted whole to be savored in listening to this, the final work in the sequence. It is stirring music, and the ghost of Mahler sometimes seems to be lurking quietly and unobtrusively at the back of the stage. Anyone who already knows and appreciates Stenhammar will take to this one. 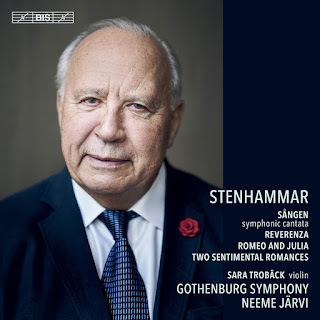 Those who want to hear another fine voice from the Scandinavian early 20th century flowering will be serviced well by Stenhammar's example and the fine performances to be heard on this program. And in the end it is simply good music, well performed. It is not exactly rabidly Modern, but not everything must be that to deserved our attention, right? Stenhammar is a very musical voice that deserves to remain a part of our sounding into musical air. We should still hear and appreciate him now and in the future. Recommended. Here on a Monday morning I contemplate The Lully Effect (Naxos 8.573867). What is it? Simply put, it is sounding like Jean-Baptiste Lully (1632-1687), a French composer of originality and depth. Once you hear a few of his compositions, provided they are well-chosen and properly played, as is the case very much here, you understand that of all the Baroque masters of his time, he did perhaps more to establish a special musical identity beyond the intrinsically contrapuntal than anyone elsewise, and for better or worse ushered in a different sensibility that in various ways were extended and realized in the ensuing Rococo phase that followed years later. That may be a bit of a gross simplification, but for a Monday morning that is what I generally come up with when left with my current resources! 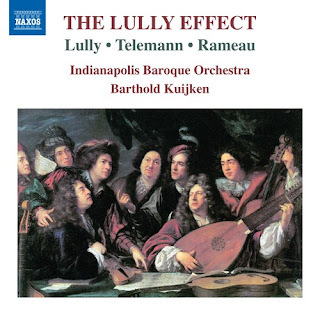 Seriously though, The Lully Effect is all about Lully's mature sound, the way he presented a music for chamber orchestra that came in part out of the less contrapuntal dance suites and ceremonial court fanfares of his era and created a lyrical yet massively large sound with a strength of line and a sweetness of timbre we do well to hear in a period version as we do here. The Indianapolis Baroque Orchestra under Barthold Kuijken gives us the sound as it was meant to be then, in works by Lully and his sometimes followers Georg Phillip Telemann and Jean-Philippe Rameau. Neither composers cleaved to the Lullian "galante" style consistently but instead made music in their own image as well much of the time. No matter however, for they show in these examples how attractive and stirring Lully's influence could be in the hands of talented later practitioners. The orchestral forces heard here have a pristine beauty that of course resides first off in the scoring of the respective composers. And that has much to do of course with the blocks of instruments and the way that they outlined the primary melody away from prevailing polyphony to more of a homophonic and heterophonic direction, with a kind of uncanny blurring of principal melodic orchestra parts in ways that thicken the texture, a special advance coming in part out of the dance music of the time in the everyday life of France of the period. Key to the performances we hear in this recording is Kuijken's research and application of appropriate bowing techniques as mapped out in various sources plus a wealth of ornamentation practices. We hear in the results a more heightened sonority that we are used to with this music. It goes far in underscoring the beauty of the sound as intended by the composers in their day. That and the unusual (for us) instrumentation-sound of blocks of winds, harpsichord and then in the strings--violins, violas, cellos but also a number of violons. The first violin parts are generally doubled by a number of players and at times repeated in the woodwinds; the bass parts are strong and pronounced; the middle part is by style a relatively lighter voice in the whole, giving a sort of shimmer but decidedly not meant to equal the principal line. All this is the case and happily so in the three main works we hear in this program.The Lully is the overture and an instrumental interlude from his opera "Armide." Rameau gives to us a long instrumental suite culled from his opera "Dardanus." Finally Telemann gives us a five movement orchestral "Ouverture (Suite)." The performances are delightful and go a long ways to make us appreciate the irresistible charm of the music. Is there a "Lully Effect?" Sure! And you can hear it to happy advantage on this fine recording! Very recommended. Really. when you think about it there are at least three Ralph Vaughan Williams (1872-1958) personas we might readily experience in his music as a whole. The one most critical for we who love music must be Vaughan Williams the highly original and brilliant composer of such things as "The Lark Ascending," "A Sea Symphony," "Sinfonia Antarctica" "Hugh the Drover" and "Riders to the Sea" to name some of my favorites. Then perhaps we might single out Vaughan Williams the local folk music enthusiast. During his life he most certainly promoted and immersed himself in the folk ethos. One can hear it at times strongly present in his own compositions. He also did a fine job in his folk song arrangements. The folk Vaughan Williams is a key part of who he remains for us to appreciate. Finally there is Vaughn Williams the Englishman, the civic force, the modern and traditional resident and citizen, And in this guise we feel the influence of his times and milieu in some of the music he composed for the various functions of cultural practice and commemoration. All three of these Vaughan Williams personas come into play on the program up for discussion this morning. 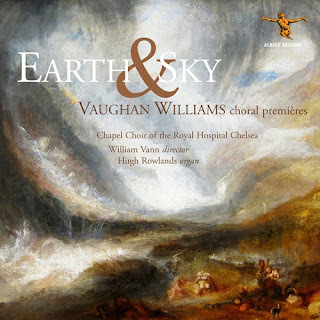 As part of the Ralph Vaughan Williams Society series on Albion Records, we have a beautifully performed program of 22 choral works never before heard in commercial recorded form, entitled Earth & Sky (Albion ALBCD034). The idea that all three Ralphs have some important input in this unexpected series of musical finds seems apt and helps us understand and appreciate what we hear. These short works are not all masterpieces, of course. But neither are any of them mediocre or without some general merit. And certainly so too all provide happy listening when performed so nicely as they are here. Credit must be given to the Chapel Choir of the Royal Hospital of Chelsea under the directorship of William Vann. We also must make note of Vann's effective piano accompaniment on a number of works as well as the wholly appropriate organ accompaniment of Hugh Rowlands in those pieces that call for it. The choir sings spiritedly and angelically, perhaps as only a first-rate English outfit sounds? And in the process they manage to conjure up a time and place when Vaughan Williams livcd, loved, thrived and made good. Made very good indeed! Eight of these works are Vaughan Williams's well wrought arrangements of traditional songs, folk songs really. It may come as something of a shock to hear Vaughan Williams's heartfelt treatment of Stephen Foster's "Old Folks at Home." You listen, you hear the beauty of the melody again, and your extreme ambivalence about those plantations and the slavery they practiced is put in brackets for a minute. One feels no such ambiguity listening to the "Three Gaelic Songs," or "The Jolly Plowboy." Vaughan Williams took the heritage of songs and more songs as seriously as anybody did, and this at a time when the urgency of preserving a rapidly vanishing corpus of songs in everyday practice had grown acute. So all the better Vaughan William's interest in such things. The remaining 14 pieces are original Vaughan Williams items. They have each a particular place in the music making needs of his world. Some are patriotic and geared toward encouraging and praising the war efforts he was a part of and to which he later gave moral support. We must not forget that WWI and II, and especially the Second WW threatened Great Britain's welfare directly and so the music sounds imploringly stirring as it was meant to. Other songs have a religious role to play and of course the choral group was a central aspect of religious music of the era. Other numbers have a less direct role to play one assumes as they are not as tightly tied to a function. And in all these works we hear intimations of brilliance at times and always a well-inspired sense of melody and form. The question in the end perhaps is who needs to hear this, have this? If you wonder about Vaughan Williams and do not yet have some of most of the works I mention at the start of this article, it may be more sensible and necessary to get a performance disks or downloads of those works before this program has any urgency of possession. Those who love choral music of the more or less Modern period yet in a mostly traditional mode will find this a very pleasing program, though in no sense will you find an abundance of innovative brilliance to these works. There are sparks. There are moving pieces to be heard. It all is worthy of hearing. All of it is nicely present and edifying. If you are a Vaughan Williams completest you should not hesitate on this one. For it does give a fully fleshed out portrait of Vaughan Williams the man of his times, the participant in the flow of cultural and social history of an England undergoing some curtailment of tradition and the need to assert and reassert a particular musical heritage and in so doing extend that tradition and give us an original version of it all. So if you already love Vaughan Williams you will learn some additional aspects of his music and his world! It is in any event a happy listen. I do recommend this one to you if you already think you are interested. The series of issues and re-issues of the music of Vyacheslav Artyomov on Divine Art is to me one of the primary revival events of the past decade. (Type his name in the search box above for my reviews of other volumes.) Happily there is more, two more anyway.Today the very welcome A Symphony of Elegies (Divine Art dda 25172). The album covers three major works. 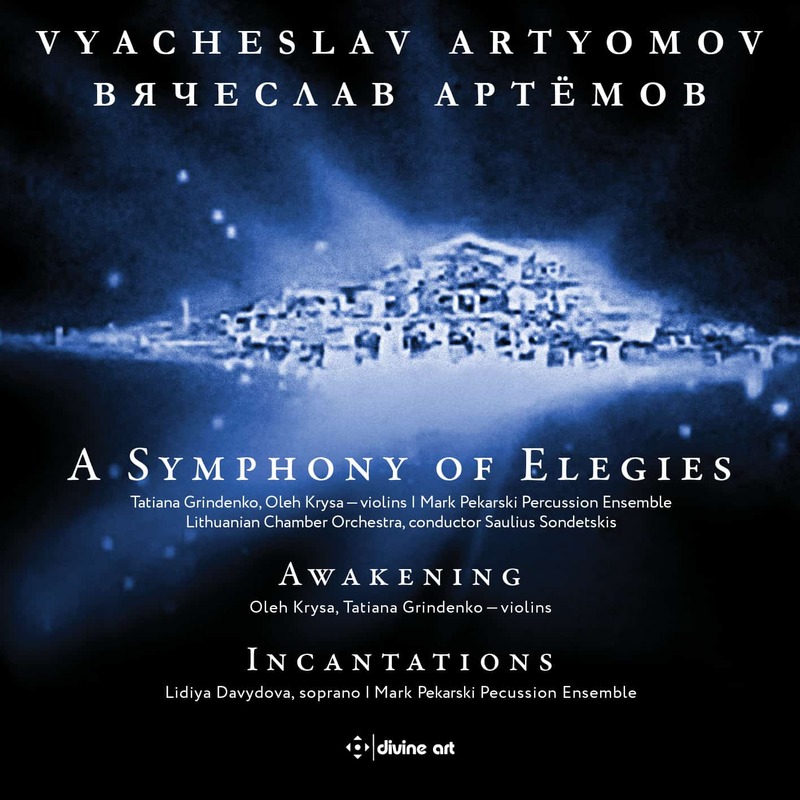 There is the phenomenal orchestral "A Symphony of Elegies," the violin duo "Awakening," amd "Incantations" for soprano and percussion ensemble. 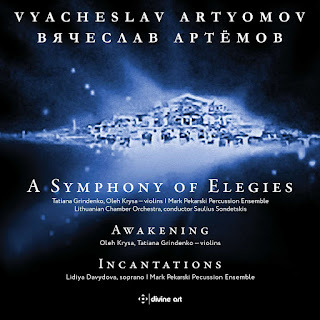 "A Symphoiny of Elegies" constitutes one of Artyomov's masterworks. It is in fact his very first symphony, which he composed in the mountains of Armenia in 1977. It is a sonically stunning, major and essential foray into meditative moodiness that somehow manages to straddle later Messiaen and Morton Feldman in his quietly mysterious phase, yet in the end it is pure Artyomov. There is a breathtaking beauty to the way Artyomov hangs in the sunlight delicately ethereal clouds of mysterious sustains with beautifully grey and luminescent pastels of colored light-sound. This music for all its 44 minutes heightens the floating sensation of inner-outer chambered yet vast expanses of space. There is notable space for two upper-register solo violins who according to the composer represents observing from above. They are violin bridging figures. intimacies that continually tie before with after--almost like the string part of a Gagaku piece, then gradually become more overarchingly continuous. A D.T. Suzuki quotation serves to help set the mood for the the work: "All these are but moments in our innermost life, which revives and touches Eternity." This is ravishing music. "Awakening" continues and extends the mysterious and reflective mood, this time with two violins alone. They epitomize an entire universe of sound with compact means and so manage to evoke a great deal in the most eloquent and elegant of ways. Ravishing. "Incantations" sprawls into space with four fairly compact musical movements. It has a very lively vocal part and hews nicely to the sort of percussion group middle ground, neither always pulsating nor strictly event-in-space minded, yet then in the end it bursts forward with ritual pulsations that evoke some mythical ritual world in very unique terms, evoking perhaps Ima Sumac and Messiaen's middle period vocal works via a certain atmospherically "ethnic" panorama, but in no case derivative but rather completely Artyomov-idiomatic. It is a fittingly upbeat and, as the work proceeds, a rather haunting ending to a very nicely moody and reflective program. And so we have it, an intriguing and rewarding new volume in what I hope will be a very widespread and lasting Artyomov revival. He is a Russian master that has suffered neglect for far too long. It is time we celebrate his music. I do very much recommend this one to you. It is High Modern in a very evocative way. It is not easily forgotten once you give it your full attention! Bravo! If you want to feel time passing, to feel change in musical performance practice, listen to typical chamber music artists circa 1950 versus today. There can be much less schmaltz to be heard now, less of the mawkish fervor of Hothouse Romanticism and more musically precise note weaving, excitement and passion without resort to the verklempt. 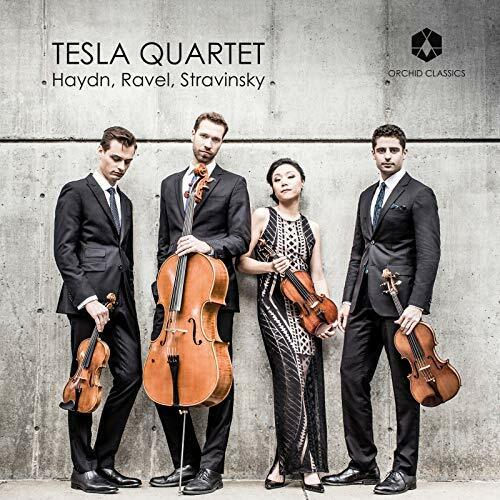 Well compare the wonderful but at times decidedly dated Budapest Quartet from those days doing the Ravel Quartet versus the new, present-day Tesla Quartet, who includes the work on their inaugural release Haydn, Ravel, Stravinsky (Orchid Classics 100085). You find a less over-the-top passion with Tesla's reading. The vibrato is still there but not sounding the least bit feverish, there is clarity and matter-of-factness the great depth of this work demands. I could go on but I think that gives you the idea of what I hear and like as a starting thought. And really it all is part of a trend in sound and emotions in music. Listen to some of the "Sweet Bands" in US pop from 1920-1950 and you might hear some incredibly dated timbral heart-stringing. We do not hear things that way anymore, so that even Rachmaninoff we sound with a bit more reserve than maybe was expected a while ago? (On the other hand listen to Ben Webster's tenor sax in his later years on a ballad if you want to hear the art that could spawn from the sentiment so present in music worlds then). Tesla is a group of younger folks (younger than I am anyway!). They have spent ten years together, ten years of concertizing, communing but perhaps wisely not-yet recording. After ten years they are well seasoned and for this inaugural recording they turn to works they have worked into a fine fettle. The choice of pieces in the audio program work together very well in establishing the brilliance of the group, their care and attention to timbral beauty and blended focus. The results are pretty stunning. The Ravel "String Quartet in F Major" has such an abundance of a Modern, tempered beauty we surely must rank it at the very top of quartets written last century. Tesla give us a version I cannot imagined being topped and perhaps it has taken us this long to get it perfectly right because that is the way musical time goes? There is deep subtlety in the reading here. Tenderness and hush, boisterous exuberance, richly evocative sound color like lightning bugs at dusk in midsummer, a woody warmth unfeigned and sincere. It balances feeling and cerebral impact as nicely as I have heard out there. Tesla seems born to this music. A change of pace hits us happily with Haydn's C Major Quartet, Op. 54, No. 2. As Tesla mentions in the liners, Haydn has played an important role in the first decade of the ensemble's life, with every season involving a performance of at least one of the 41 quartets he left for us. You can hear the sympathy and care that goes into this recording. The reading is lush, lyrical and extraordinarily memorable. They read Haydn with an interpretive brilliance you no doubt do not hear quite like this elsewhere. It is as if they are recalling the beauty of the work as they are performing it, and so we get a reflection of the music in its shining forth, a rare thing and a true musical blessing in many ways. I would love it if Tesla were to record the entire Haydn cycle, but perhaps later on for that? 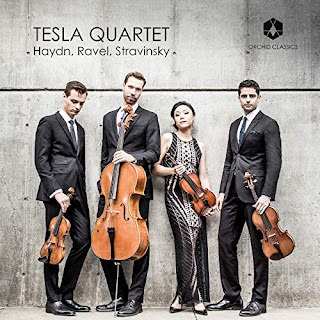 Tesla features three Ravel minuets that have been nicely arranged for quartet by Tesla violinist Ross Snyder from the original piano parts. The "Menuet antique" rings out especially well but all three are a happy addition to the program. My mom especially loved the "antique" Ravel piece and played a recording of it very often around the house. She would have been very happy to hear this version, no doubt. The final touch to the musical sequence is a meticulous and very sympathetic reading of Stravinsky's all-to-brief "Concertino for String Quartet." It forms the capstone to a really delightful monument to the state-of-the-art in Modern quartet performance practices. The Tesla Quartet on the basis of this worthy CD seems to me to be at the very top of the hill in terms of new chamber performance today. Any with the inclination to check this album out should not hesitate. In it a big WOW to me and I cannot doubt that most will feel like I do after a few hearings. The Ravel is primo and the rest of the program is a further confirmation that we are in a special place with these fine players. Highly recommended. What is written in our philosophies, to paraphrase Hamlet, does not always cover everything. When I audition the late Modern strains of New Music for piano, for example, these days one cannot expect every composer to adapt the same set of parameters. It might have always been like that, but nowadays it seems truly anything is possible. So I was not sure what I was going to be hearing when I received Tanya Ekanayaka's Twelve Piano Prisms (Grand Piano GP785). Ms Ekanayaka plays the compositions for us and she is a fine pianist. This is very lyrical piano music in a kind of Neo-Romantic, sometimes a bit Neo-Impressionist mode. I hear Tchaikovsky, Liapinov, Schumann, Rachmaninov, and a wisp of Chopin maybe as the forebears of Ms. Ekanayaka clearly outlined and feelingful pianism. The back cover tells me that many of the themes are Sri Lankan, and at times I can hear that now that I know to listen for it. And the blurb says there are traces of other world musics; the classical tradition and popular music have some sway here as well, so they say. The rhapsodic treatment is crisp and not extraordinarily ornate, which gives a refreshment to it all. Each of the 12 Prisms is in a different key. Oh, the liners say she is British-Sri Lankan. So that makes sense.She was precociously talented and began studying the piano with her mother, then others. By the time she was twelve she had made her recital debut, her first concerto in public was at age sixteen. She has her doctorate in Linguistic-Musicology from the University of Edinburgh, where she has been a part-time faculty member since 2007. I very much am taken with what she does with the "Auld Lang Syne" theme on the fourth Prism, which is entitled "D Flat--Intuition, Auld Lang Syne & an Asian Secret" (2017). Each of the Twelve Piano Prisms has a distinctive character and mood. And after a few listens you begin to hear the Sri Lankan heritage as a sometimes scalular idiom that is extended and lyricized by Ms. Ekanayaka's special musical gifts. And listening in time her inspired originality comes more to the forefront as her treatment of themes becomes more clearly etched into the listening mind. 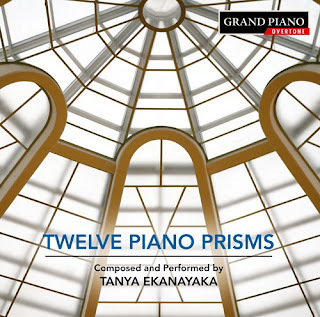 I come away from the initial listens to Twelve Piano Prisms quite impressed and moved by the music. I am sure I will happily return to this music often. And I will look forward to hearing more of her music. If you want something tonally wistful and lyrically inspired in new piano music, you will most certainly find it here. If Ms. Ekanayaka does not easily fit in to what other music is being done today, so much the better for us. For we hear an original musical mind at work. Definitely recommended. After Terry Riley's pioneering "In C," the stage was set for a long ensemble work that mapped out in greater depth a way to further extend such promising Minimalist trance ideas. Steve Reich had been a key early player in the development of the music with the phasing process idea as found in the electro-acoustic "Come Out," "Aint Gonna Rain" and then "Violin Phase." In the early days of the 1970's he gave we who were following such developments a decided and beautiful way to proceed with the glorious work Drumming. When the original commercial recording came out in 1974 I was fully ready for it and so it turns out were many of my peers. It happened to fall on the heels of a major uptick in my experience of World Music via a happy rising of several labels dedicated to such things. Of course there was a remarkable catalog available on Asch's Folkways, but then Ocora, Nonesuch Explorer and a couple of other labels began releasing well-recorded LPs of traditional African and Asian musics. I was at a first peak of immersion in all of that so Drumming hit something of a nerve with me, especially in how it managed to give original treatment to the idea of a pulsating percussion ensemble with multiple interlocking parts. Perhaps rightly so much has been made of how Reich took his phase and process idea and created a wonderfully alive music out of his kernel of structural insight. And indeed it is so. But inevitably perhaps the method of proceeding had become a kind of Wittgenstein's Ladder, or in other words it brought Reich to the new horizon of the interlocking repetition possibilities and gave him ways to ensure development. But then like the ladder that gets you to a point, there was perhaps no need to let a procedure dictate fully where one went from that place on. Or in other words the ladder was not necessarily needed any more? And it is true that subsequent works became less and less phase oriented. No matter. For in the end Drumming stood or fell on the quality of its invention, which one can hear always if one listens faithfully. Some 48 years later, give-or-take, I certainly can say that my regard for this work has if anything increased in time. And it has done so because of a key factor perhaps--the sheer brilliance of the way Reich fashioned a diatonic pulsation of interlocking ensemble parts and in the way of so doing created, brilliantly invented music that sounds so well together that you can immerse listening self into it virtually forever! In the right hands there is an ecstasy of melodic-rhythmic suchness that you may not find quite to this extent elsewhere. 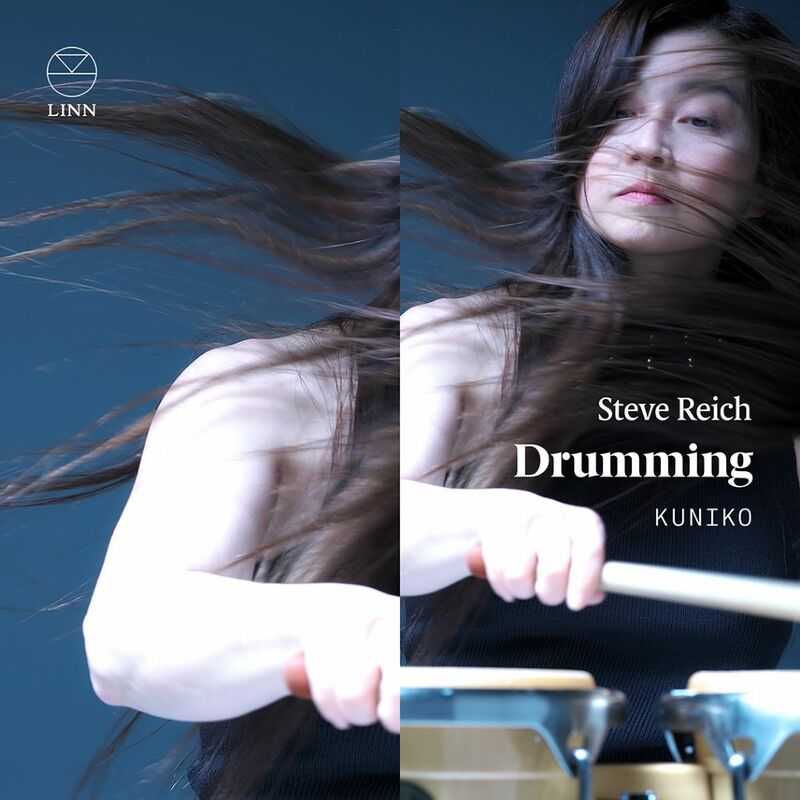 Enter master percussionist Kuniko and her new recording of Drumming (Linn CKD-582). I have heard virtually all of the versions that have come out since the first recording and they are all good. But this one is by far the best, the most inspired, the most moving I have heard. Why is that? Part of it has to do with how a master percussionist is a master. It is not of course just a matter of faithfully executing the notes. It is that something extra, that getting inside the notes and sending them volleying outward into our aural perceptual worlds that is most telling. All of this music exists within a continually pulsating time frame. From the most simple to the very most complicated interlocking parts, a key to a successful performance is the way the ensemble can and does sound the measured, leveraged and even periodicity. Ms. Kuniko does all of that (and plays all the percussion parts via overdubbing I believe) in ways that lift the pulse into a centered measured place that, in the vocabulary of jazz, makes the time "swing" mightily. It is the transcendence of isolated repetitions in favor of a forward moving, irresistible whole that constitutes the beautiful excellence of this version over others. By getting each part measured right but then elastically so, it puts the foundations in place for a very beautiful version. For with those foundations in place it makes possible an extraordinary vital sounding of the melodic brilliance and timbral vivacity of the work. So even the first simple tuned bongo sections take on an intensity of intent. And then the crosstalk polyvalence polyrhythms (in rabbit-duck gestalt oscillations) are extraordinarily there in balanced and palpable ways that open up the entire listening universe of part-versus-part. It allows for the rabbit-duck fluidity of what you can hear and so then you can have variable focus at any point in your listening. Each part defines the whole and each sounds wonderfully well if you only listen to that. But of course your musical imagination bounces around continuously in the hearing and re-hearing of an ideal performance of the work such as we get here. 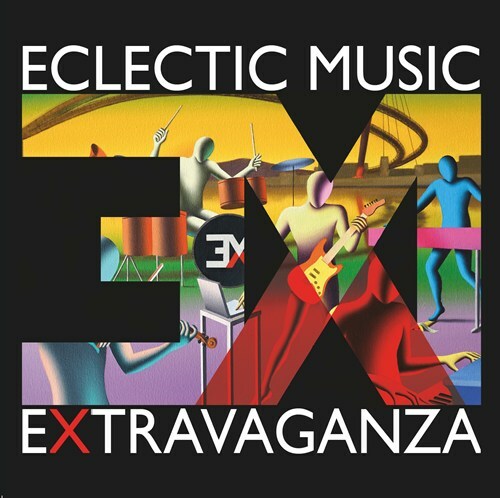 The bongos, the marimbas, the glockenspiels, the female voices, the whistling and the piccolo parts sound together with a maximum groove and depth of field that has to do with the swing execution and so the work seems continually to rock back and forth between two end-phrase points (in two units of six) in a remarkably fluid and ecstatic way. I will not try and describe the entire outlay of the work as it is performed so wonderfully well here. That is something you need to get by sitting there and letting the music play YOU. And so I recommend you get this recording and surrender to it! It is as fabulous a musical experience as you might care to have if you are willing to let the music spin you like a ballerina armature! Kuniko brings home forceably the extraordinary brilliance of this music and helps ensure its place as one of the masterpieces of New Music in our lifetimes. Kuniko is a revelation! Very highly recommended. A midwestern US resident in the mid-1800s when introduced to Beethoven's symphonic music for the first time was said to have exclaimed, "well ain't that something!" I would suggest that this, too, is something! 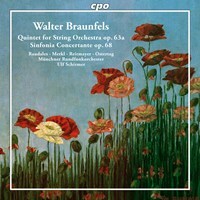 And why is it we do not much know of the music of Walter Braunfels (1992-1954)? The short answer may be that his music was not exactly radically Modern? 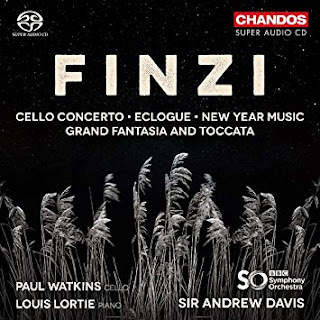 But it was not archaic either, judging from the new release of his Quintet for String Orchestra and the Sinfonia Concertante (CPO 777 579-2).. We listen a few times, or I did, and find that there is a wealth of good invention and plenty of inspired content. The performances are in the very capable hands of the Muncher Rundfunkorchester under Ulf Schirmer. It is a superior performance and sounds quite well indeed. The liners tell of a definitive Braunfels biography published in 1980 which has done much in helping assess his legacy. He played piano, composed, taught. The liners tell of a man who kept somewhat to himself. Breakthrough instrumental works were forthcoming in the '20s along with the successful premier of his opera Die Vogel . He was the son of a Jewish jurist. The National Socialist coming to power put his career in jeopardy and he was designed as one of the so-called degenerate composers. All of this had some hand in the fact of Braunfel's relative obscurity in the Modern era despite the outward success of his last years. By the post-war period there were new voices that shadowed over someone like him and so too others who did not espouse a Serialist view. With the 20-minute "Sinfonia Concertante op. 68," scored for string orchestra and solo parts for violin, viola, and two horns, we get a more detailed sound spectrum befitting its intention for large ensemble. There are magnificent folk-lyric passages, chromatic whirlwinds of expression, a musical personality that seems fully fleshed out, and a kind of edginess at times especially with a sort of characteristic curmudgeon grotesquery contrasted with at times a pastoral-peasant hearty quality and then high expressivity as well. The performances give us a true view of the definite talents and originality of someone we mostly now know very little of in terms of repertoire presence. A concentrated series of repeated listens brings to us a rather brilliant musical mind so that the more one listens, the more one discerns a real presence in the music of talent and steadfast inventiveness. I must say this disk constitutes a find! It will bring pleasure to anyone who seeks another voice from the early days of the last century. It is like the ghosts of Mahler and young Schoenberg inhabited a third personality of originality and made a very fruitful re-working of what was on the ground at the time. Very much recommended! A new recording of the Messiah seems like a potential occasion to me. Not that I am in the habit of covering all of them. It is not my central concern. Yet when one comes along that seems interesting and it can be done I generally open up to the chance. 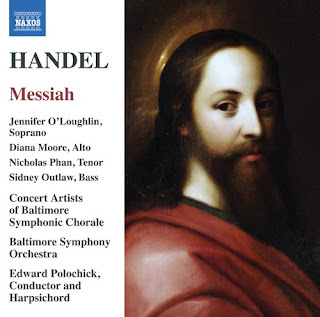 So today we have a version with Edward Polochick conducting from the harpsichord, with soloists, the Baltimore Symphony Orchestra and the Concert Artists of Baltimore Symphony Chorale (Naxos 8.57379899). The Messiah has been central Christmas listening fare for me since the year I was in 7th or 8th grade I think and my high school choir directed by Mr. Azzolina ambitiously performed sections of the Messiah for their Christmas Concert. By then I had been listening heavily to Bach's St. Matthew Passion so I got how it fit in with that. I ended up loving the music, then found my dad's Readers Digest LP of excerpts we had all ignored. Eventually my mom got strongly into it too and after that every year for a bunch of years we went with my dad in tow to hear the Masterworks Chorus do the complete version in Carnegie Hall around the holiday season. I found a more or less complete version on LPs, by Frederick Jackson conducting the London Symphony Orchestra and Chorus. That found itself on my record player every Christmas Eve for many later years. With a drink or two it was the benchmark for me, albeit a Romantic treatment with a pretty large orchestra and chorus (some Amazon reviewer says too many sopranos, but that too many was what I was used to hearing so what me worry?). I reveled in it. That balance and the passion of the performance was what the Messiah was to me, though the Masterworks Chorus versions reminded me too that a smaller orchestra and chorus was really the proper way to do it. Time moves on always and I still have those LPs and still very much enjoy hearing that version. Then as a reviewer I have gotten the chance to hear other versions, though my mom's LP version was in my head too. And I've heard numerous and various other conflagrations do versions live and gotten a better overall picture of the latitude and such. But every new version I hear perforce gets gauged against Jackson's. In life listenings that is how it must be. You know what you know. How could you not? So naturally this new Polochick version gets measured against all the other versions I have heard, including Jackson's. At first some of it seemed slightly shocking. The soloists are first-rate, yet in the interest of period concerns they are afforded a latitude in terms of embellishments, adornments, and sometimes plain old different notes than those that are written, not in some radical fashion, but as occasional landings and way-stations back to what is written. And it threw me initially. But then with subsequent listens I got used to it and find it interesting now, for of course I keep the original score template in my head. 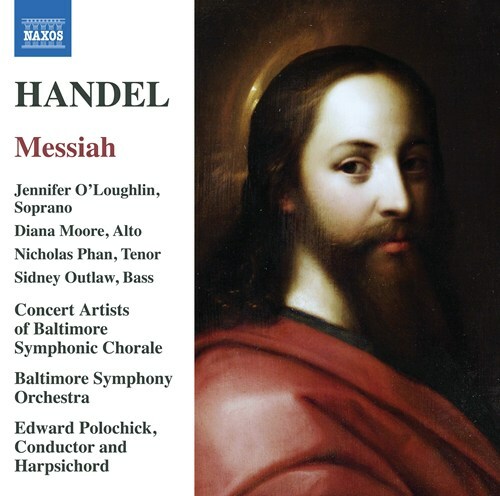 To backtrack for a minute, suffice to say that the Messiah fully deserves its place as the most well-known and greatly appreciated Oratorio of its day. It is a miracle in musical terms, incredibly alive and lyric and belies the fact that Handel managed to put it all together in a few week's time. It is a kind of inside musical fleshing out of the affect felt in the day and beyond about the birth, life and death of the Messiah. It was designed of course for believers. Yet it transcends that so that anyone might love this music, regardless of upbringing. And the music cuts to the quick in incredibly beautiful counterpoint, song-like lyricality and brilliantly inventive through-composing, with unforgettable writing to move all who seriously come to know it in their lives. There is the pathos of "He was Despised," the joy of "Unto Us a Child is Born," the eerie trumpetissimo mystery of "The Trumpet Shall Sound," and the fury of "Thou Shalt Break Them." Nothing is quite like it for the scope of its beauty and moodiness. So over the years I never tire of it, nor should anyone who gets captivated initially. It is so much a part of the foundations of my musical experience now that I feel my life passing through me as I hear it again after nearly a lifetime of listens. And so a new version if well done gives you insights into the form. The main thing that stands out in this version is the ability to sometime tread a little lightly (in masses of sound and sometimes in dynamics) to emphasize sometimes the bouncing of the parts sounding together, to re-articulate the phrasings to bring out the form-flow all the better. So "Unto Us A Child is Born" seems at first less impactful because not as hard hitting? But then you hear again and you see and feel the emphasis. So "We Like Sheep" rocks us with super-articulation. I feel like a sheep in ways I never have before! And so for example the "angry" part of the work, from "He Trusted in God" through "Thou Shalt Break Them" (in other words just before the first peak of "Hallelujah") at times proceeds with a joyous tempestuous that I do not think I have heard like this before. The tempos can be rapid, but then the whole ensemble notably articulates each phrase with a clarity and emphasis that is beautiful to hear. And very rocking! And perhaps we get what we get so nicely here because the forces in the end are period-small and so more responsive perhaps than might be the case with a Romantic-sized gathering? I believe so. What counts though is the sensibility we hear in this performance. It is singular. It is a version not entirely perfect in some huge overarching way (imperfect, that is, in terms of how I am used to hearing parts, so the pastoral interlude is not quite as moving as other versions I am used to). Yet then one turns to this recording with a feeling of refreshed re-hearing, with a new life to the music that one might need by now. And if this was one's first Messiah to listen to without a lot of reference to others it would be alright, too. Because it has all the music there, surely, and this version would be one to compare others with later? And in the course of it the "Hallelujah" and "Amen" parts hit very much home, so. We get the end in a big way. My mother, who so dearly loved this music, would be smiling now. Maybe she is? I cannot know. She would had loved it though. So musical she was. In the end then I do think this one has a great deal to offer it and I do recommend you hear it. If you are a seasoned seasonality with this work, all the better. But even if not it will rock you! Hear this. Sometimes it can be daunting to try and keep track of the unfamiliar composers now emerging on recordings these days. It is a challenge to try and absorb everything. Yet too as a reviewer I am happily situated to be able to be exposed to a lot of music I could never have afforded to or even have been alerted to hear in the past. And then the things that are interesting and good I pass along to you readers and thereby I hope give you a chance to consider a lot more than you might otherwise have on your own. 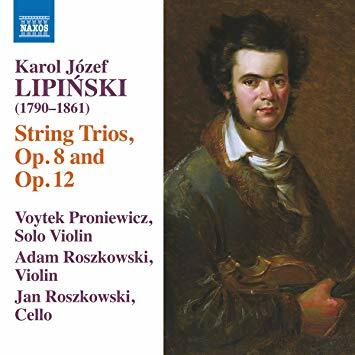 So on this Monday morning I present for your consideration (as Rod Serling used to put it on the Twilight Zone) one Karol Jozef Lipinski (1790-1861), composer of among other things String Trios, Op. 8 and Op. 12 (Naxos 8.573776), which can now be heard to good advantage in the recent release by that same name. One might ever return to a key question when first listening to an unfamiliar historical composer. That is, why is it we have heard nothing of this music until now? The most obvious answer could be, alas, because he was not good enough! Happily that is certainly not the case with Lipinski as I listen to this. So what then? Partly perhaps he was a violin prodigy that came out of Poland at a time when Paganini overshadowed all for virtuoso fame and the popularity of his compositions. It is true too that Polish composers were not as readily exported until Chopin took on the world with his huge talent. That of course is a very simplistic and shorthand answer. Listening to the two String Trios presented so well here I can say that there is no reason we should not appreciate Lipinski now, at least via these very attractive works. As the liners tell us the trios were intended as noted by one Powrozniak as "lyrical Slavic folk tunes with elements of the ballad." And so you listen and very much hear a brilliance of folkish invention but then a very skillful and imaginative mapping out of the thematic material in a more-or-less Classical manner, but perhaps not so strictly in line with conventional sonata form as others might have espoused it then and later. The music has a virtuostic strain to it as well and that sets it off in some ways from what might have been typical of intimate string chamber music then. So you might hear some echoes of Tartini and Viotti (and of the then-contemporary inspiration of Paganini), especially in runs and double stops in the lead violin, but with a bit more decidedly Haydnesque symmetry of developed form than you might expect from those models perhaps. 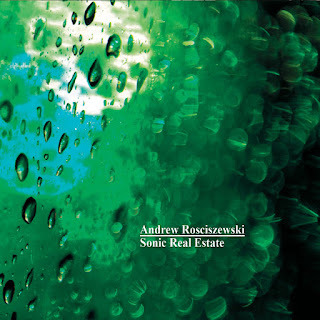 So the trio reflects the virtuosity of the composer with a solo violin part (here played nicely by Voytek Proniewicz), plus a second violin (Adam Roszkowski ) and cello (Jan Roszkowski). After a few listens the initial impression of agreeable music gives way to a more detailed appreciation (for me anyway) with the freshness of the folk themes and the impressive way Lipinski introduces and develops them. These seem to be folkish in flavor more so than directly quoted by the way. They sound as if they might well have been invented or heavily edited by the composer to me. That is not a deficit. It may actually be a strength because it all hangs together in an original way. So why then would you be interested in this release? Anyone who seeks "ethnic-folk" rooted Classical-Early Romantic chamber music will find this a boon. But even if that is not what you think you look for, this is music that stands on its own, not so much as competing voices against Haydn or Mozart, but another strain altogether in some ways. And if you favor Polish and/or Eastern European sounds and composers, here is a great find. And lastly it is very worthy music, played very well indeed. If that seems interesting to you, by all means get this. The Naxos price is right! Lipinski is no slouch. Far from it. 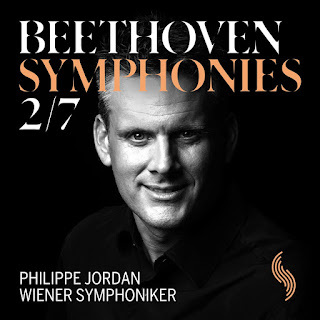 If I mentioned Beethoven yesterday for his central role in creating the idea of a poetic and brilliant treatment of orchestral forces and so as the true father of orchestration as we know it in the time of New Music, all the better today that we have some new release showing that very thing. 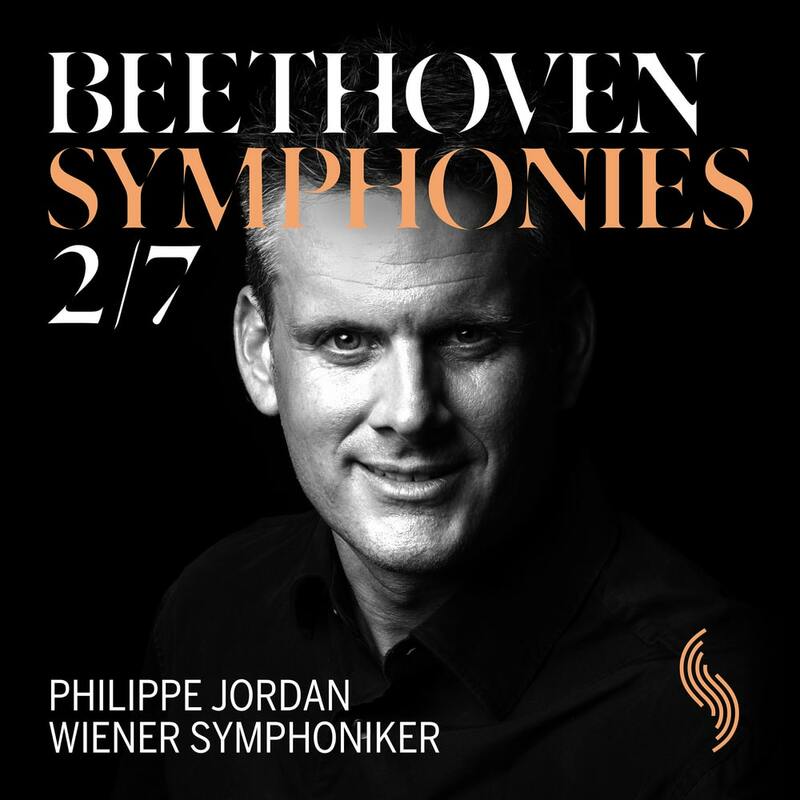 Philippe Jordan and the Wiener Symphoniker are a fair ways along in their release of a Beethoven Symphony Cycle. That such a thing is a cause of joy would seem to be the case based on the latest volume I have been listening to very happily, namely the Beethoven Symphonies 2/7 (SONY Music 610 SM). When you think of a Viennese Beethoven Cycle you might naturally think of an extraordinarily disciplined performance and that beautiful presence of winds and horns like you are unlikely to hear from other orchestras. Not quite like that anyway when you are out of town. Vienna has never been a city who thinks that when it comes to Beethoven, just get the feeling right and do not sweat the details. These symphonic pairings up today beautifully reflect the Viennese urgency of the details-as-huge-part-of-a careful-whole performance ethos. Jordan and the Vienna masters give us all we might expect. And then they go a step further and give us the best we might ask for, a kind of making it all seem new again. That is ideal. And maybe that is especially a surprise with the Second Symphony. As you listen to this version you imagine what it might have sounded like to you before there were Symphonies 3 to 9, instead of how we usually hear it, as a way station on route to the revelations of Symphonies 3, 5, 6, 7 and 9. And when listening in sequence as I have often done in my hearing world it passes like the tick of a clock on its way to the midnight of the 9th, or even as a necessary but intermediate step before that burst of feeling and revolution that was and is the Eroica. I have especially long appreciated an old recording of Toscanini doing the Second, and he does wonderful things with it. Yet nothing might quite prepare you for the Jordan-Wiener take. Suddenly, it seems like its own Eroica, so to speak, that is, a very bold orchestral work for its place in the time of its time. Jordan brings to us the logic of Beethoven's orchestration/scoring, lets us feel how each part vividly takes place within the whole of each phrase, how every part of the orchestra has a hand, an important hand in the making of the sound of the finished whole. Before this in a way you might just hear the strings run through a Haydn or a Mozart opus and in the end and often enough you would not miss all that much. Not with the Beethoven of the Second! No way. And so with this new reading you sense all the interpenetrations of parts with parts and how as a meta-organism the music thrives with incredibly appropriate touches that Jordan and the Weiner people handle as no one has quite done it before. It is joy. As for the Seventh we may feel on hearing this fresh re-working that perhaps before we have been guilty of viewing it as more of an afterthought in the high pantheon of the great symphonies than it should be. It stands tall, second to none in the Jordan performances. Well no, second thought nothing can ever quite reach the heights of the 3rd and the 9th, but nonetheless, this reading of the 7th worries over every essential detail and then not only sounds each particle within the whole but also more-or-less makes every particle have a strong musical personality latent within the notes themselves but also pulled out of the air by grasping Beethoven as a very particulate whole! It is for all these reasons that I do recommend these readings to you most heartily. There is a making new indeed, for virtually every bar rings out with a special clarity that rivals all the very best readings I have heard. The strings phrase as one in individual ways that take away the breath. Horns and winds are ultra-articulate and give us so much, a balanced and creative reading of what Beethoven very much intended we hear. The recording quality is superior and with these performances you will get a great deal out of this whether you have heard hundreds of performances or none at all before. If you are feeling the need for this then do not hesitate. Or even if you do not think you need it for that matter. You probably do. What does it take to be a great composer? Is it ever the same? Well, what Clementi needed to create the Piano Sonatas in yesterday's program is surely something different than what Michael Gordon brings to us in The Unchanging Sea (Seattle Symphony CA21141 CD and DVD), a remarkable new orchestral work that is the soundtrack to Bill Morrison's film of the same name. Whereas the Clementi sonatas relied upon an acutely inventive linear feel for unspooning melodics and significant form as underlying structural architecture, the Gordon work (as a sort of exemplary world of New Ambiance) takes a kind of all-at-once great idea in sound, which then of course succeeds or not by its sequential unraveling of the very large sonic moment. 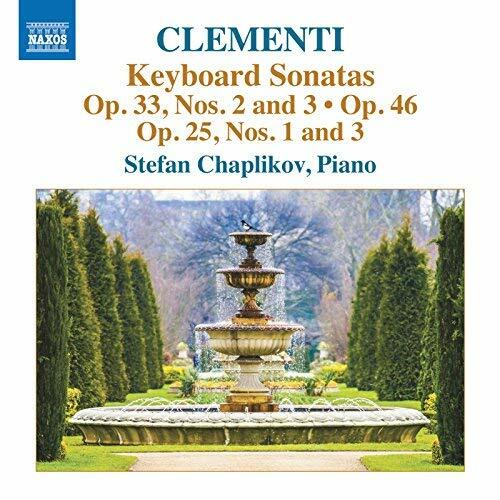 That does not mean of course that a Clementi kind of musical mind is not welcome in the New Music realms today, but that there are other more canvas-like parameters that also captivate us when works are in this new world of possibilities. So for the sake of my recent posts you might well say that Finnissy is closer to a Clementi in his linear view, and perhaps Gordon ultimately is a working though of the first real insights of the Mannheim School of orchestral music, culminating in a first climax in Beethoven's Symphonies. Two strains, both as New Music is now. And if that is a sort of bold assertion for the first thing in the morning, it is deserved in this instance. For this is a work of true evocative power, nothing quite like anything else, though it stands in relation to another orchestral work of similar power, John Luther Adam's Become Ocean (see review from October 23, 2014). The intense aural imagination that goes into this work is extraordinary. It is an orchestrational coup d'etat, nothing less. 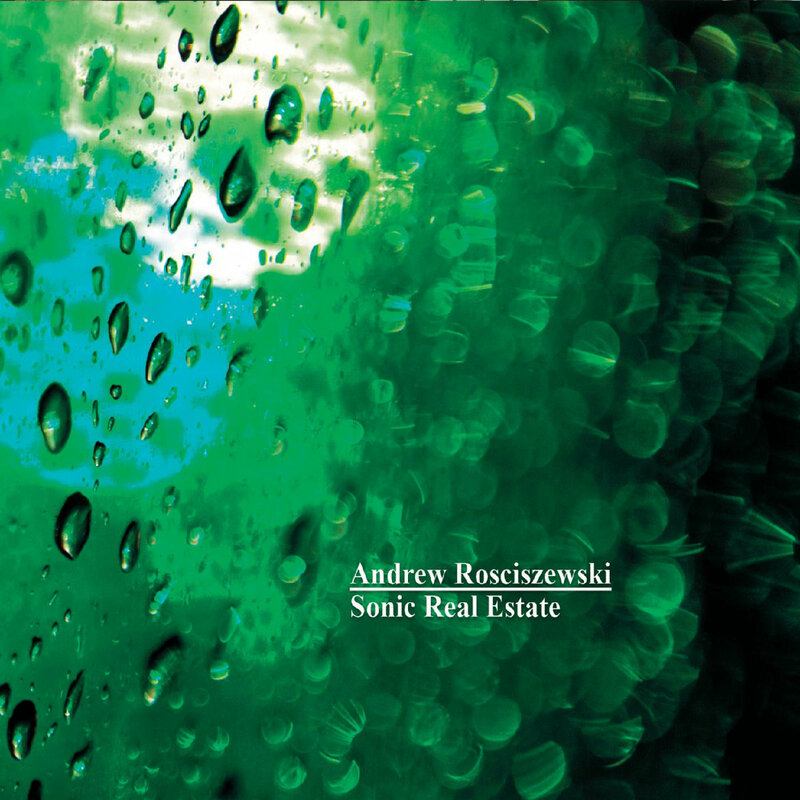 For it creates the aural image of a seascape that has a timelessness and mystery redolent with vast expanses of shifting, splurging, rocking, sprawlingly awesome and endless strength. The piano part is in the beginning hammering and relentless like the continual energy of sea on life. It later in essence becomes a concerted vehicle of expression, then joins the orchestra as a key rhythm instrument, and all quite musically and happily. The strings and winds give us an uncanny blurring of the endless pliable force of the sea. There is incredible depth of field to the changing panorama of sounds. You hear the vast unfolding of many mini-tidal events as they meld together into a widely diffuse unraveling. And the music changes, never remains fixed at any point. This is Post-Minimal of course, yet that does really have some meaning, in that there are envelopes of endless recurrences and the hugely beautiful swells of oceanic sound. It is what Minimalism sought to do, only it does it without reliance on set changing patterns. There is underlying pulse much of the time but it is there in some ways like it has always been in "pre-Minimalism," as a kind of given that ticks a timeless time underneath the musical events. 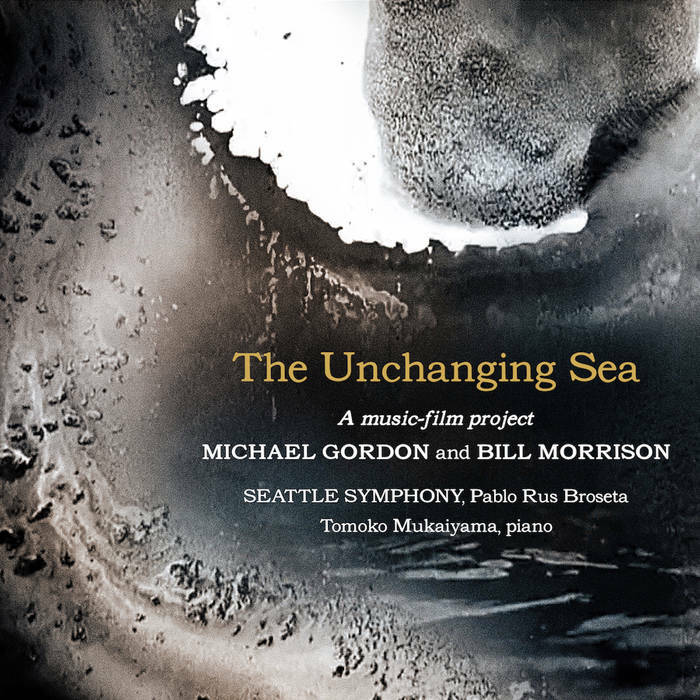 The CD includes a half-hour Sea as we can hear it in the movie. That is followed by the 15-minute Beijing Harmony that is not a part of the film. I have been listening to the music without reference to the liners so all this time my mind has conjoined the two works as a sequence, and perhaps that is all for the better, since to my mind the second work amplifies the swelling drift of sounds in different ways from the title work. They manage to be of a piece in the experience. One follows the other like "Refrain" follows "Kontakte" on the original 1959 instrumental-electronics recordings of Stockhausen's masterworks. Perhaps even more so, in that Gordon's two works are even more of a piece together. Well and so to turn now to the Bill Morrison film would imply that the DVD that features that is almost an afterthought? It most certainly is not. The film is as hauntingly singular as the music in its own way. Morrison makes a narrative out of diverse pieces of silent-era film directed to the sea in the life of the time. So the narrative goes from man-woman-sea as a triadic thing to the dreaming woman on the rock and what follows is the sea as destroyers of men--footage of shipwreck and rescue dominate the film's central section, played out always as the deliberate and thematic inclusion of time itself as undermining force in our oblivion--the beautiful-horrific sight of film badly deteriorating and at times totally obliterating the image to put on a fascinatingly sculpted play of water damage, celluloid deterioration or light damage competing with standard image, like a vast inferno of meaningless negation threatening to engulf us all. I can only say that the film-music DVD is unforgettable. Yet in the end the music is something monumental on its own. This disk qualifies to me as a front runner for New Music disk of the year. It escapes from the Faberge Egg endlessness of Minimal repetition to find another linear path outward, to liquidity, water and an endless mass of water! My highest recommendation for this one. Time in the end prevails over endlessness? It is a lesson for us? Just a couple of days ago we mentioned Clementi's iconic Sonatina in the course of mentioning Satie's delightful pastiche of it in Joana Gama's worthy Satie.150 (see last month's listings). Today we happily encounter him again. This time with a volume of his Keyboard Sonatas, including Op. 33, Nos. 2 and 3; Op. 46; Op. 25, Nos. 1 and 3 (Naxos 8.573712). It features pianist Stefan Chaplikov, who sparkles and bubbles his way through the five works, giving us a plein air refreshment that may be just what we need after a heavy dose of gloomy Romanticism or giddy sojourns through the outer space of High Modernism. 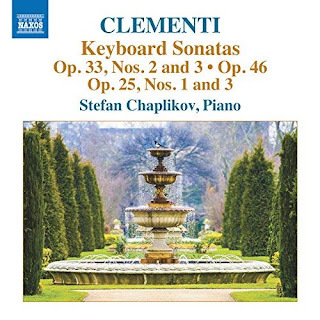 I was one of those students assigned the iconic Sonatina so many years ago, and I must say I came away with an appreciation of Clementi's sense of form and melodics. I've since never passed on an opportunity to hear more of his music. In the late '70s-early '80s I discovered his symphonies, and I knew then that he was more or less as accomplished as any of his era. (Who topped Mozart and Haydn though? Well they were supermen I suppose!) So fast forward some many years and I now hold in my hand this nice little volume of good cheer as it plays underneath my writing this morning. If you listen closely to these works you might find as I did that we should probably included these examples among the very cream of Classical Era sonatas, along with those of Haydn, Mozart, CPE Bach, early Beethoven and Schubert and perhaps now we may also add Kozeluch and, perhaps Czerny but I must hear more of his. The main idea is that these sonatas are uniformly well wrought, melodically inventive in the most freshening and refreshing of ways, and accordingly a beautiful listen when you need a change of pace. And who doesn't? I cannot say to you that all must drop everything and get this volume. It is not that kind of release. However if you enjoy a very pianistic romp through some nicely turned works, you are sure to find this a pleasurable go. Definitely recommended. With my reading glasses perched atop my face once again I jump into the fray this morning, sure in my ability to read small type and large! On the docket for today is a program of works by the ever Modern music titan Michael Finnissy. 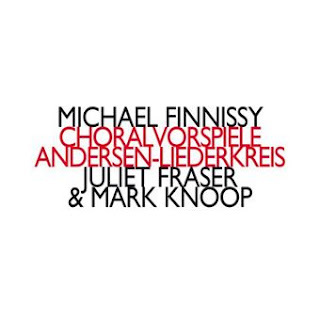 On the CD are paired together his Choralvorspiele with Andersen-Liederkries (Hat [NOW] ART 212). The two works are well situated together, both involving works within a larger whole, Choralvorspiele a set of chorales for piano based on Norwegian and American melodies, and Andersen-Liederkreis as the title suggests a group of lieder based on texts by Hans Christian Andersen. The artists involved in the program, pianist Mark Knoop and soprano Juliet Fraser, seem especially right for this music, which has a lyric-Modern beauty in its fragility and whimsicality. One might note at this point that Finnissy's setting of "The Emperor's New Clothes" is quite timely since it may be the fable most relevant to the age we live in now. It is well done. I have nothing but the highest praise for Knoop's poetic, definitive readings, and to my mind Juliet Fraser shows herself the ideal Modern lieder exponent. For the Finnissy she is rather perfect. I would look forward to hearing her do any number of works in the Modern pantheon. She as I think is right does not accentuate that kind of operatic power of volume, overly pronounced vibrato, and sentimental overkill that mars the worst of those who take on the Modern song. Every work may call for something different but to my mind too much operatic hoist is never wholly appropriate to the Art Song today. Moreover Fraser is reassuringly, textually oriented, pitch perfect in her execution of the many twists and turns, and fully able to control artfully the presence or absence and the delivery of vibrato as a color. Her reading of the lieder here sounds so musical and style appropriate that I would recommend it be heard by anyone needing an object lesson in how things can go when they go well! Juliet Fraser does not just sing remarkably well. She also gives us an insightful view of Finnissy's musical ways in the liners. She notes "the flawless technique, the innate vocality, the lyricism (albeit extreme), the loving attention paid to text, the serious engagement with music of the past that somehow always bears forth a new music that is recognizably idiosyncratic, the 'fleshiness,' the visceral punch it packs." All this we can hear readily on the program. What also immediately hit me when I first listened to this program is a telling attention to sounding smaller simultaneities like seconds and thirds on the piano, almost like an avant Floyd Cramer on a Last Date into another world? Well that is surprising and also quite enjoyable to me. Mind you it is more present in the chorale work. Still it paves the way for the many charms of this program and grabs your ears immediately. Both works pack a good deal into themselves and end up supplying a fresh landscape that is neither self-consciously advanced nor deliberately archaic, but enchanted, magical in its refusal to land on the more well-traveled parts of the troposphere of New Music concerns. It goes its own way in the most lovely terms one could hope for. It is a volume I do not hesitate to recommended to you. A good place to embark on a Finnissy discovery trip. Or to continue on it. Very heartening. When life goes on every day, it sometimes manages to gather forces of entropy to hinder you in the simplest of tasks. This morning the combination of lost reading glasses ("They are somewhere.") and a broken reading lamp means I absolutely cannot make head nor tail of the CD textual matter. For so many years designers have done their best to disguise all text and render it all unreadable, put that together with the current state of affairs and I am crippled. The current album, from what I can make out and what I hear is a series of works for violin with or without accompaniment. The album highlights the Inauthentica chamber outfit, conducted by Mark Menzies, Paul Hembree on computer realizations. and most importantly Irvine Arditti on violin. It is a two-CD set of Roger Reynold's violin works written for Arditti, all fashioned between 1992-2015. The set is entitled Aspirations (Kairos 0015051KAI 2-CDs). "Shifting/Drifting" for violin and real-time algorithmic transformation (2015) kicks off the program. "imagE/violin imAge/violin" for solo violin (2015) occurs next. 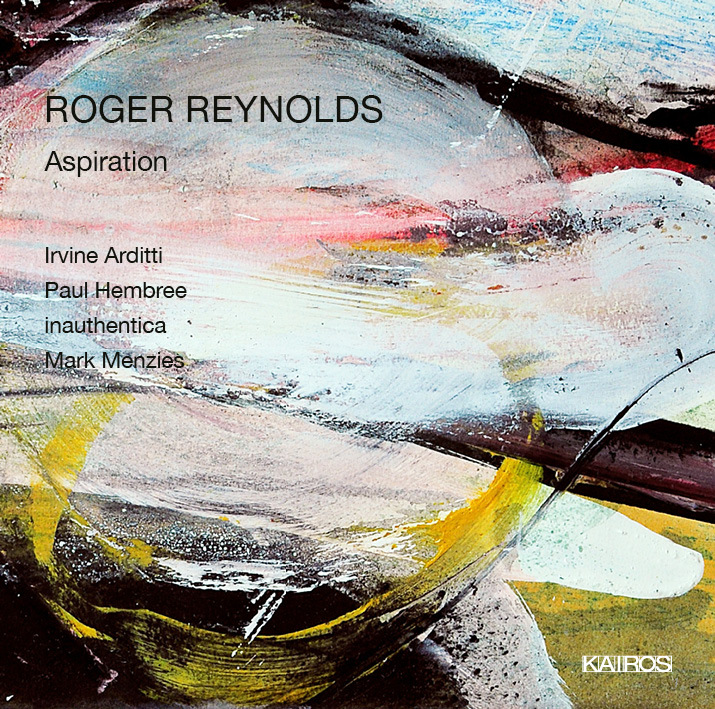 The title work "Aspiration" follows for solo violin and chamber orchestra (2004-5). "Kokoro" for solo violin (1991-92) concludes the program. All that must suffice as the nuts and bolts of this release. On the listening level it is above all a truly unpretentious monument to latter-day Modernist music for solo violin. The half of the program involving some form of accompaniment shows a totally sympathetic additional musical voice or voices. Nevertheless it all is very squarely centered on the very idiomatically original modern expressiveness of the violin part. It is exploratory and virtuoso in its subtle dash, and it seems tailored to what corresponds nicely to the musical personality of Arditti himself, not showy for its own sake, very much imbued with the urge toward expressive elegance and brilliance of means, and in a harmonically expanded High Modernist idiom for which of course Reynolds is a natural master. This is not music as contrived in some arch manner by the composer. It is as natural as speaking and as eloquent as brilliant word flow. After a few listen one falls into the spell of it all, the beautiful rightness of Arditti's playing, the perfect thus-ness of accompaniment and the spare profundity of the solo space. This program is in every way a winner--with excellence of sound and sound staging, performance brilliance and compositional inspiration, together sequencing and smarts. Aspiration demands your attention and rewards with high complexity-in-continuity. It is a Modern gem for all who want to know where we are today. I suggest this is a do-not-miss! I am happy to have it.